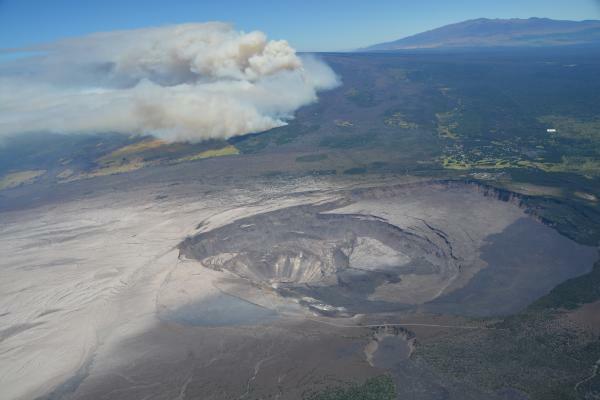 And here we are at present, August 12. 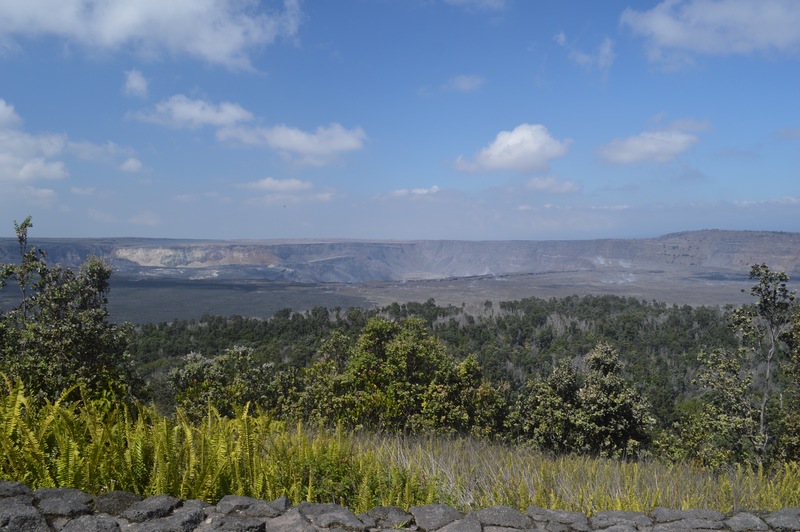 A hazy day provides more distant views of the caldera from (I think) the northeast rim/Volcano House area. 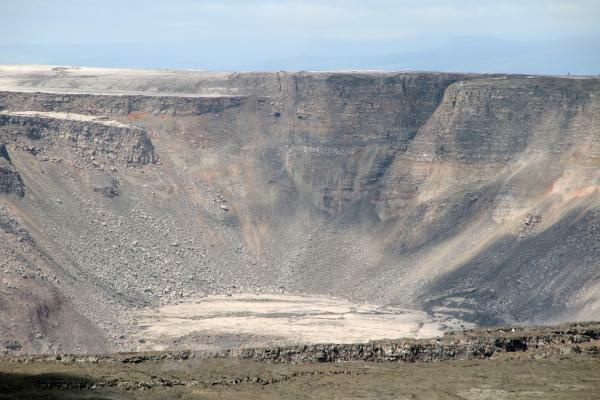 Crater Rim Drive, down but not out [of sight]! 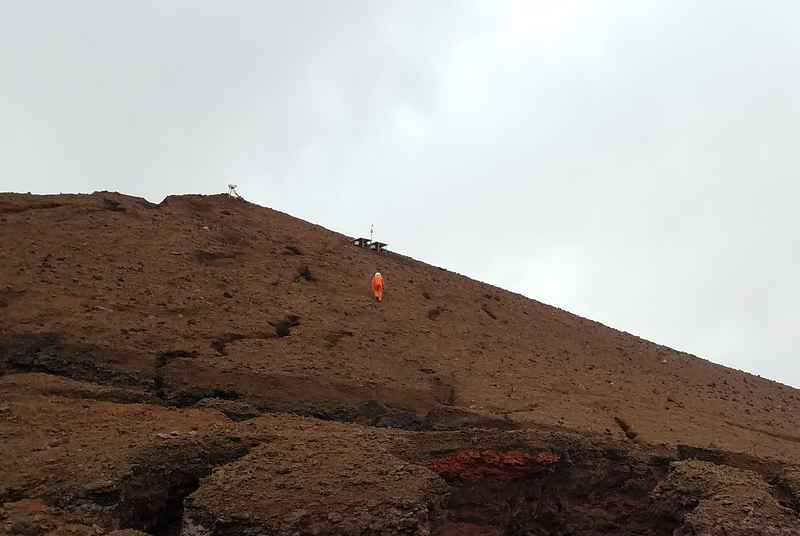 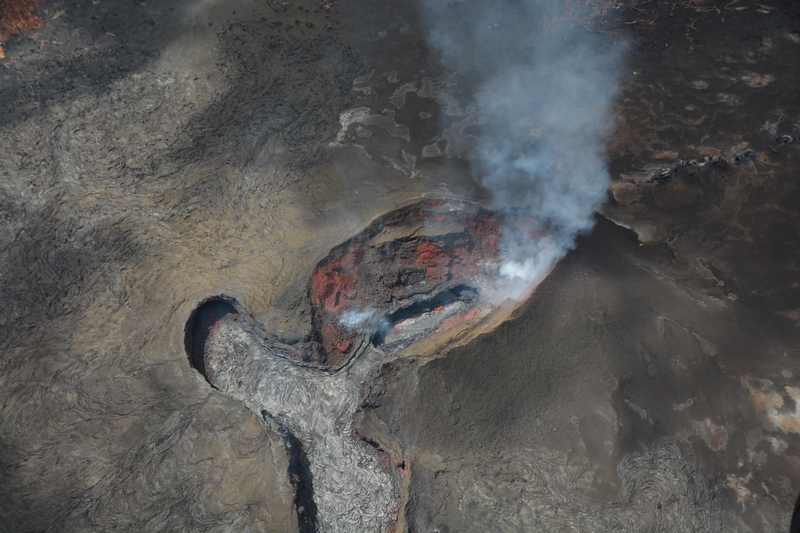 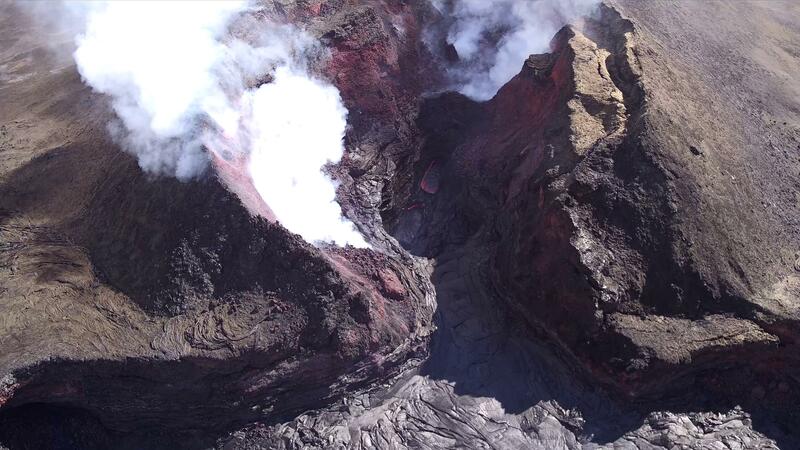 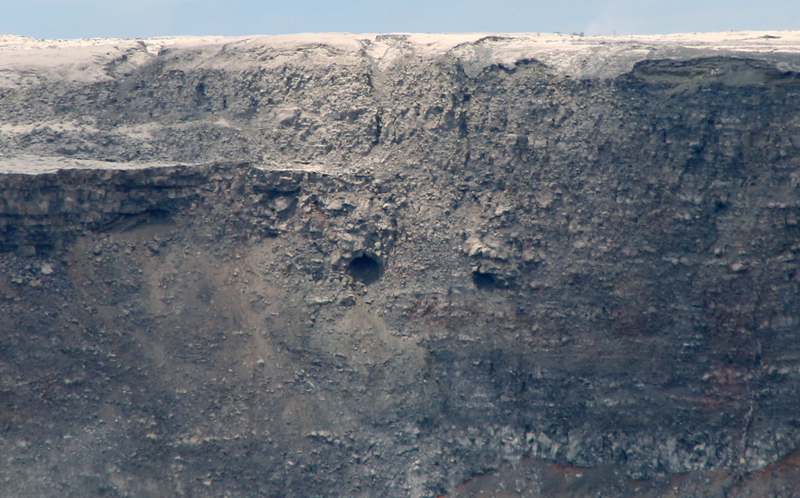 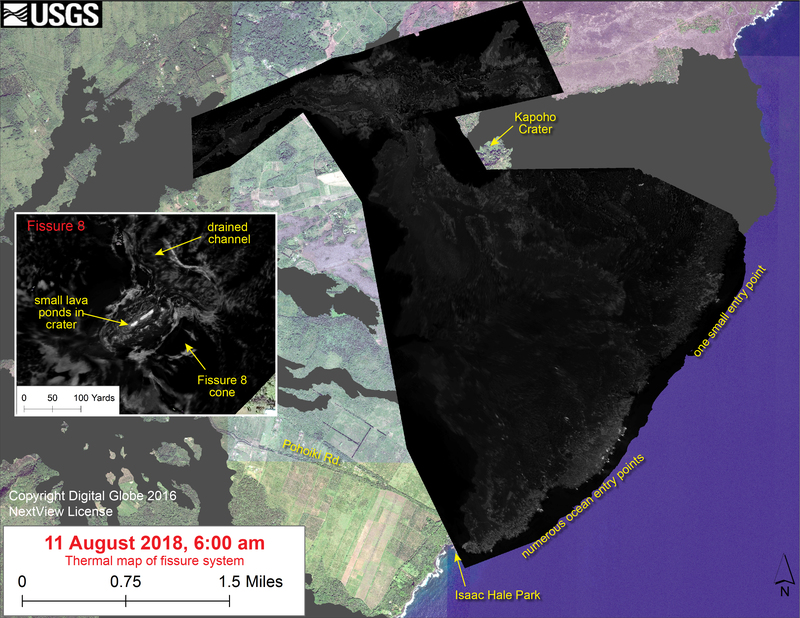 The handheld survey covered a little less area this time, probably reflecting the fact that any lava left beneath the surface of the “Kapoho Lobe” (the more northerly part of the delta) is too insulated/cool for the thermal cam to see. 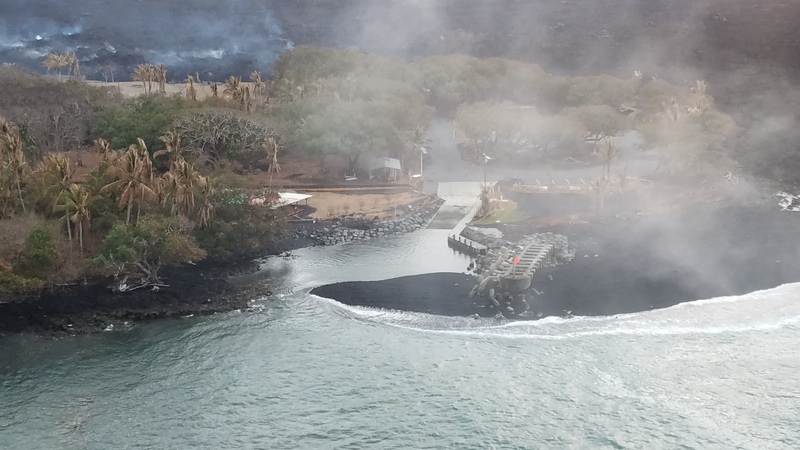 I freely admit I called it too soon, and I’m glad I was wrong. 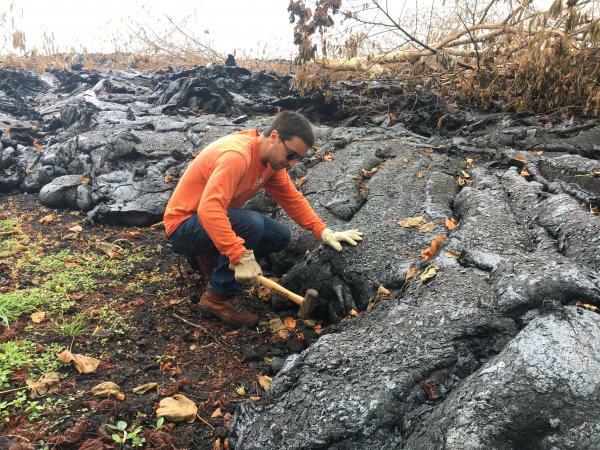 It looks like Isaac Hale Park may be salvageable. Pardon me for repeating an image, but this is important. 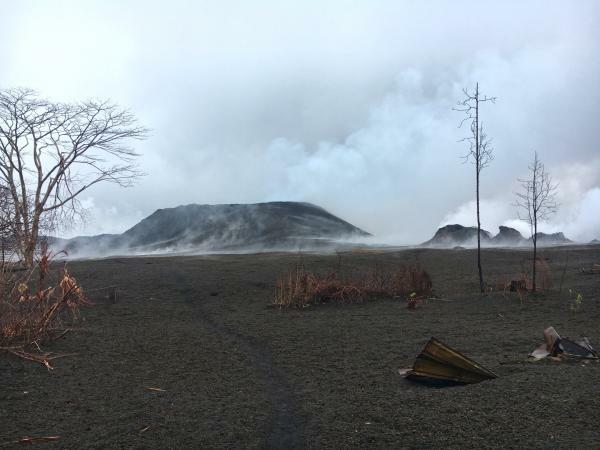 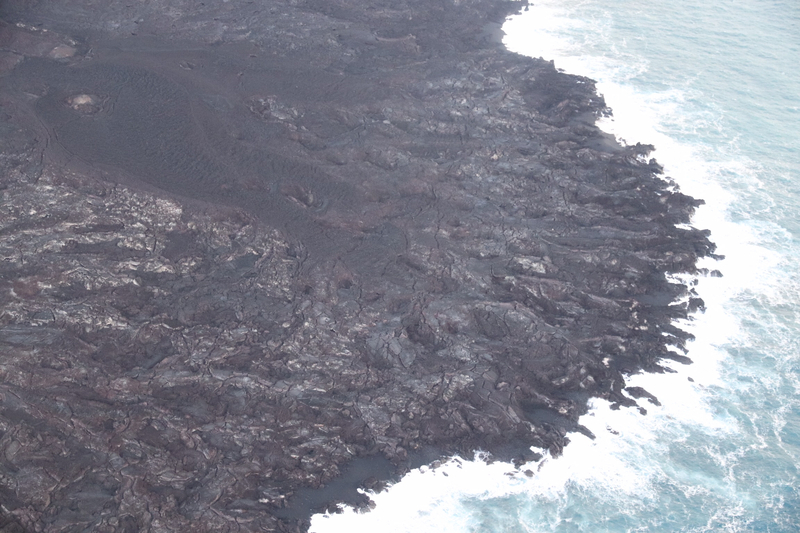 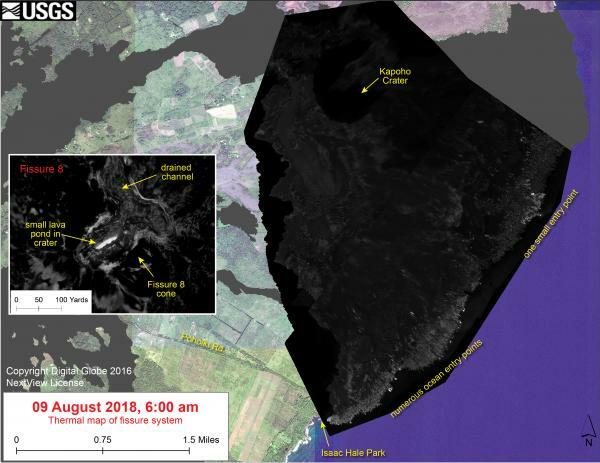 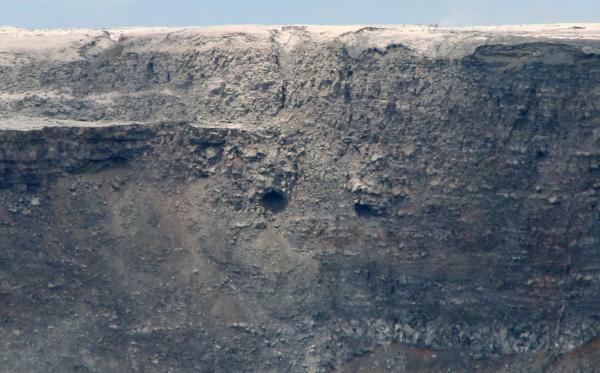 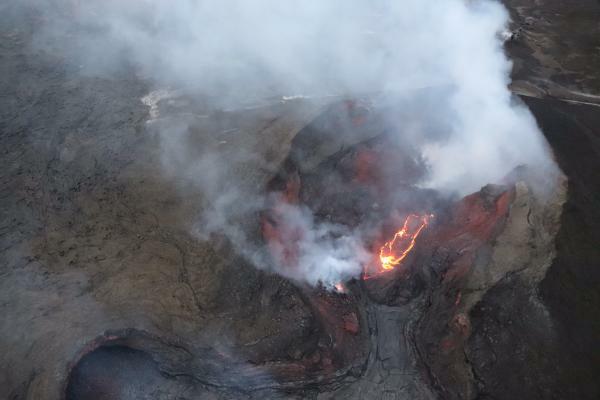 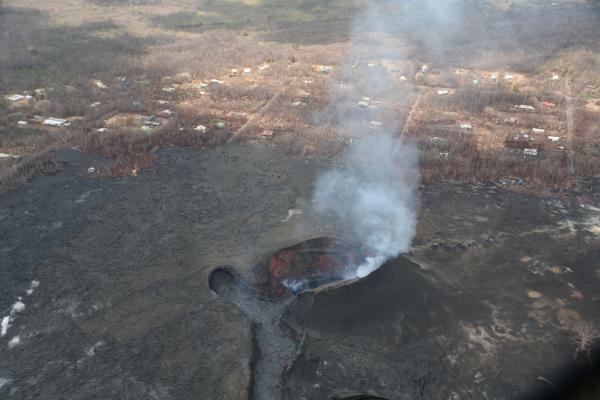 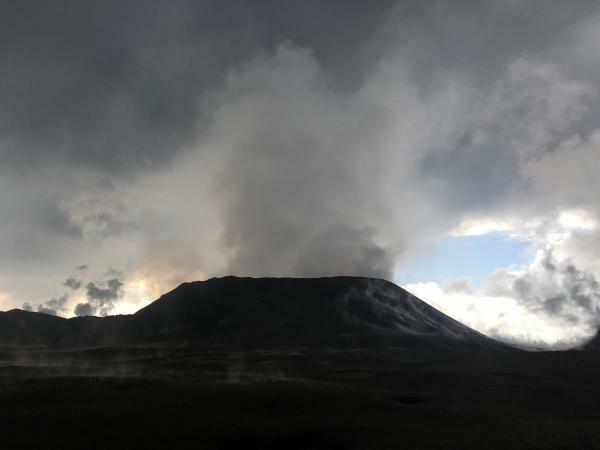 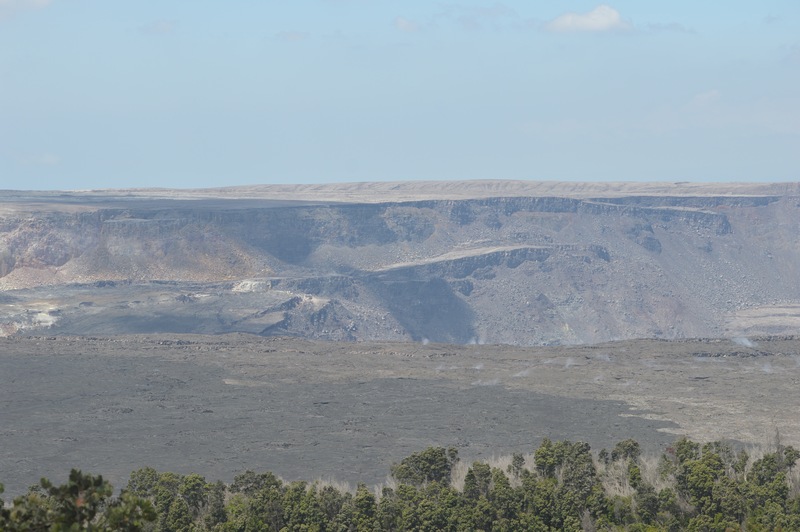 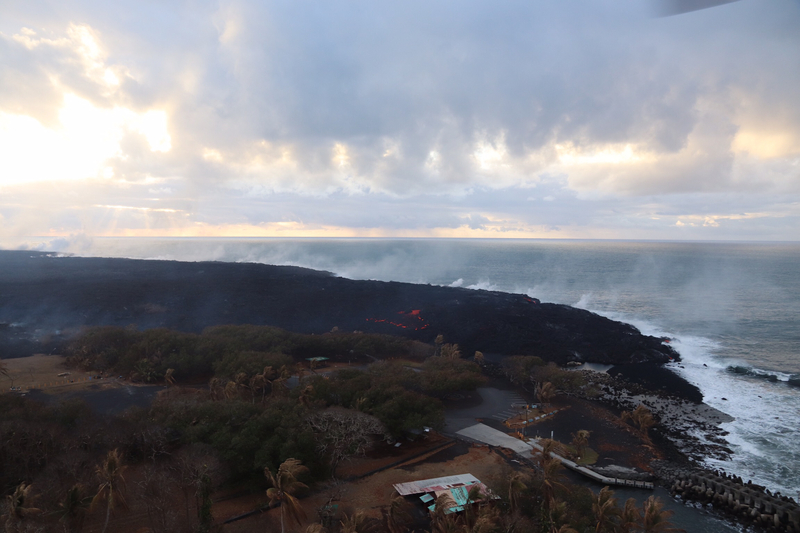 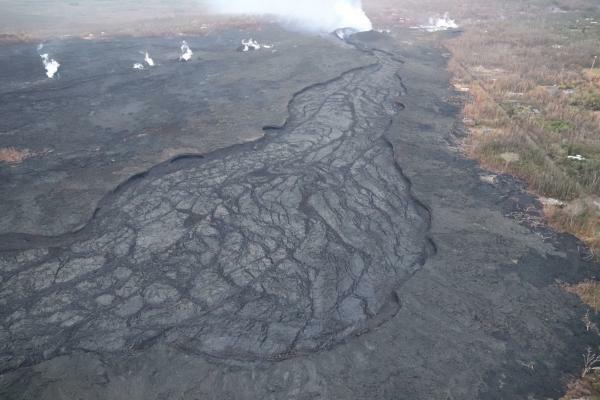 Hopefully that sand bar will discourage looters, who were reportedly using Pohoiki to access homes/properties that were not destroyed by lava, but simply cut off (in mid-May ,lava flows from Fissure 21 reached the coast a little farther to the west). Before I forget, here’s this week’s two maps. 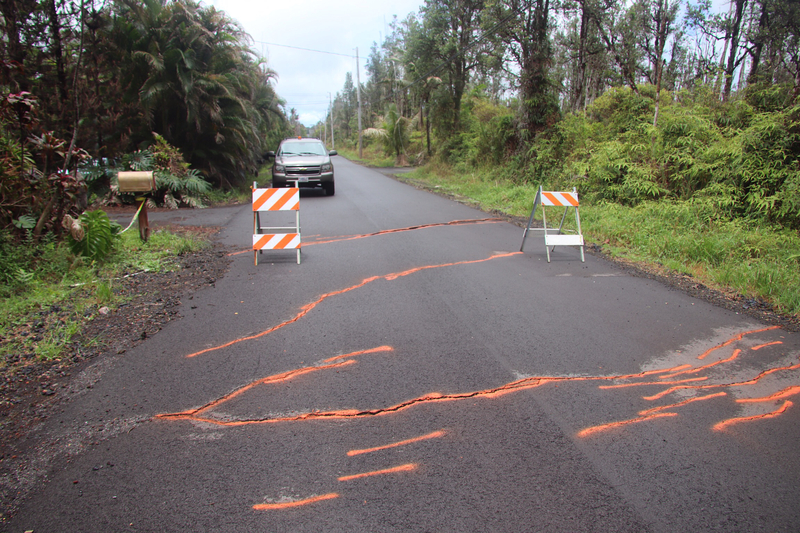 Just as they’re keeping an eye on Pu’u O’o although it seems to have gone to sleep for good, they’re still watching and checking for cracks on the roads of much-beleaguered Leilani Estates, where the lava eruption started.